Happy summer everyone! I can’t believe we’re already almost two weeks into August! I’ll be honest, we’re loving every minute over here. Our days continue to blur together as we roll into each weekend, and we’ve been making a conscious effort to take advantage of one of our favourite times of the year. Ella and Noah love to plan our daily adventures each morning and it has been so gratifying prioritizing things like berry picking, sandy beach dates, swimming around the clock, forest walks, baking, and other of our bucket list favourites each and every day. We’ve been trying to eat al fresco under the twinkle lights and surrounded by our friends and family as frequently as possible and the blissful pace summer has taken so far has my heart feeling so full. Long live summer! Like I mentioned above, we’re soaking up this incredible weather and spending most of our days outdoors, including meal times! I love having quick and easy (yet somewhat impressive) meal ideas on hand for last-minute gatherings with friends or those nights we play in the sprinkler way too long and dinner time sneaks up on us. 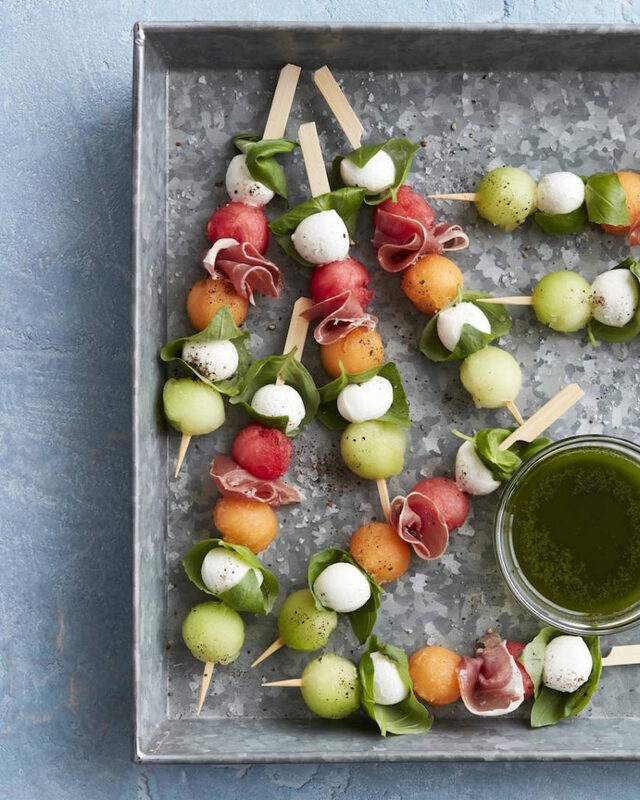 These melon-caprese skewers with basil vinaigrette are delicious, using ingredients we typically have on hand, and are simple enough to assemble quickly, even with unannounced company! 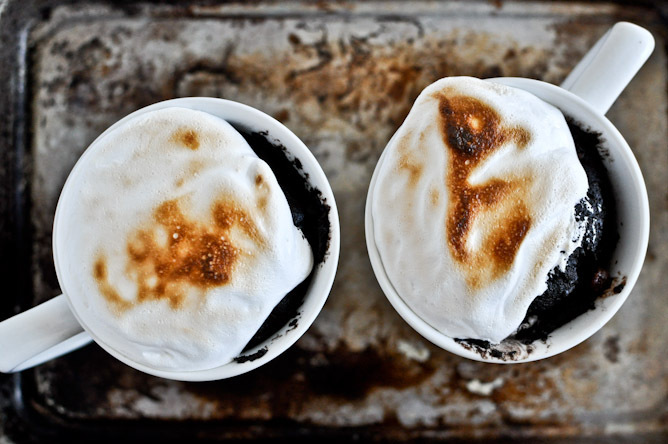 S’more cakes in a mug?! Can you even handle it?! They look deliciously fudgy, decadent, and I can never resist a perfectly toasted marshmallow. And you won’t believe it, but these can be made in under ten minutes, so exactly the kind of summer dessert recipe to have up your sleeve. I can’t wait to try these – we haven’t had a microwave in 8 years so I am working on figuring out how to make these without one! How fun would it be to surprise Craig and the kids with warm mugs filled with a mug full of s’mores and a backyard movie night?! Find the recipe at How Sweet Eats. Netflix and chill? Um, yes please! Sweeter words have never been spoken. Seriously, when Craig suggests an at home date-night curled up on the couch with Netflix and a glass of wine, he’s totally speaking my love language. 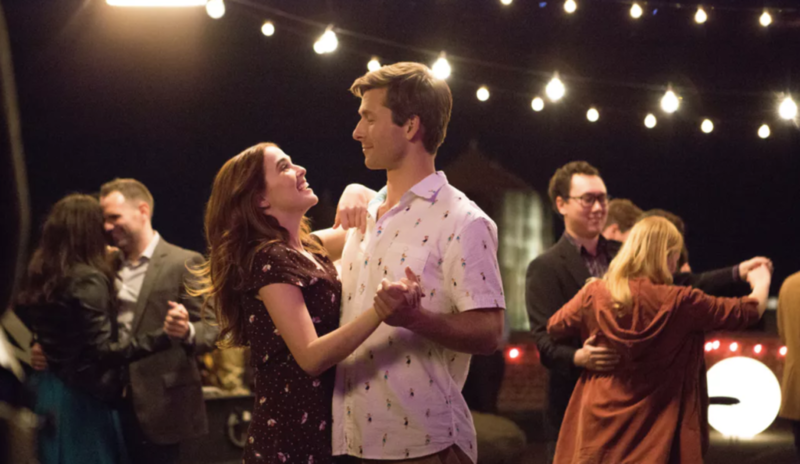 So it goes without saying, I’m pretty thrilled about the summer movie line-up from Netflix including some original rom-coms. Apartment Therapy reviews and reports on the best new movies and their release dates throughout the summer and its definitely worth checking out, find the article here. We’ve been excitedly working through our bucket list since the end of the school year and have been loving the adventures that it has taken us on so far. Are you guys into making bucket lists? I love making them for each season – it’s a simple way to make memories and create traditions as a family, encouraging Ella and Noah to be involved too! Our printable Bucket List has some really adorable ideas! You guys know we love avocados in our house – they’re a staple! But trying to determine when an avocado is at the peak of perfection isn’t always easy . So how exactly should we store avocados and is there a way to preserve them?! We have some interesting things to note for all of us avocado lovers! I mean, is there anything worse than missing an avocado’s fleeting window of ripe perfection?! Nope. We bring 2 types of avocados home 1 being the ready to eat ripe ones and 2 the will ripen soon ones (within a week). We never bring home any that feel concave to touch or too soft when you squeeze them! We stick the unripe ones in our fruit bowl with bananas, for some reason bananas help them ripen. 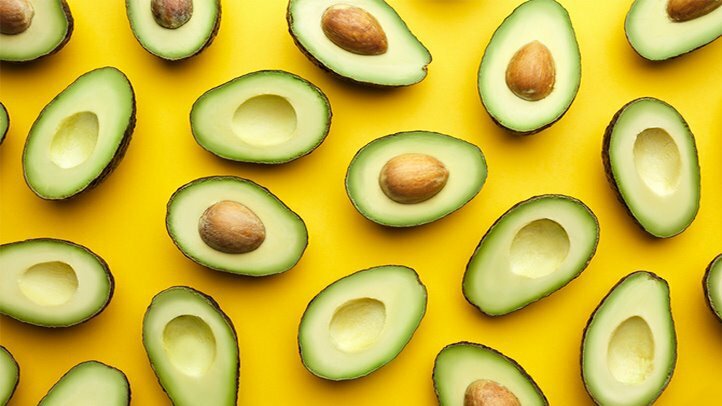 Our perfectly ripe avocados go right in the fridge to last longer, we actually love our avocados cold too and use them often for smoothies from the fridge. When cutting an avocado in half, if you only plan to eat 1/2 of it – leave the half with the nut still inside in the fridge and it won’t brown! Of course we all know the citrus fix, squeeze some lime or lemon juice on that avocado to prevent it from browning to quickly. Try an avocado saver tool like this adorable ‘Avocado Hugger‘ one! I hope everyone is enjoying their summer to the fullest so far! (Has anyone begun counting down the days until the kids are back in school just yet?! Ha!) I would love to know what everyone has on their summer bucket lists and what adventures your kids have loved. By the way, how cute would it be to create a couple’s summer bucket list?! How about Netflix movie marathons, are you guys down?! And don’t even try to tell me you’re not headed to the kitchen right this very minute to whip up a s’more cake in a mug – I know I am! 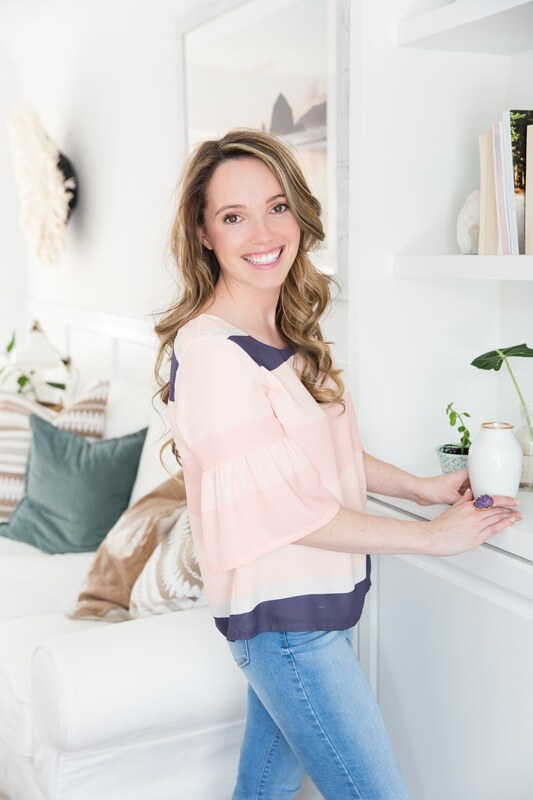 Flipping through cookbooks and sourcing recipes is one of my favourite ways to unwind and it seems like I’m constantly saving or gathering recipe inspiration – pining on Pinterest, flagging on Instagram, taking screenshots, and bookmarking within my cookbooks. Recently I noticed that several of my saved recipes were all linked back to How Sweet Eats blogger Jessica Merchant (like the s’more mugs mentioned above and the watermelon frosé from a previous Bliss List post), so clearly I’m a total foodie fan! 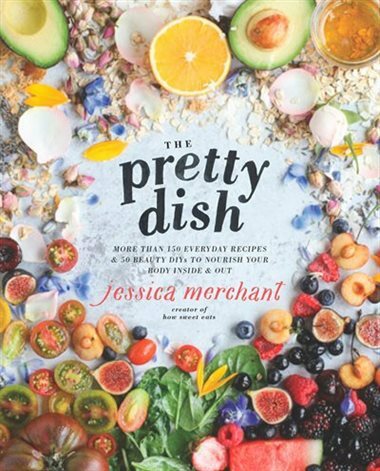 Well you guys, Jessica has the most beautiful cookbook, appropriately named The Pretty Dish, with more than 150 recipes! I’ve ordered it and absolutely cannot wait to receive it – I know I’ll be swooning (and drooling!) over every page.